AIRBOURNE LAND IN THE U.K! 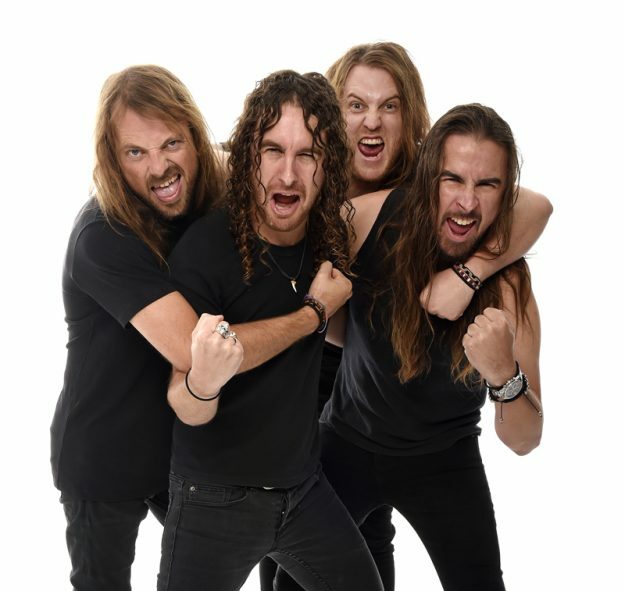 Aussie longhairs AIRBOURNE return to the UK next autumn for a bunch of dates. The Melbourne quartet, who released their fourth album Breakin’ Outta Hell through Spinefarm in September last year, recently replaced longstanding guitarist David Roads with Matt ‘Harri’ Harrison. He made his live UK debut with the band in Belfast, Edinburgh and at Download last week. The next run of dates kicks off with an appearance at Hard Rock Hell in Wales, and includes a London show at the legendary Roundhouse in Camden. Tickets go on sale on Friday 16 June here. Check out the band’s tribute to Lemmy, ‘It’s All For Rock’n’Roll’. ‹ WIN A MALCOLM MCLAREN FILM BOX SET!! !